TRANSFORMATION! | Reflection of Glory! 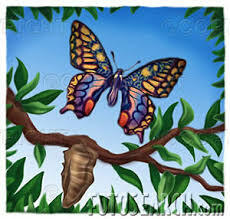 Sometimes we are in a place of being “cocooned” by The Lord. It may seem like we aren’t going anywhere or that anything is happening in our lives – but we are in a period of transformation! I believe that the time is near when a lot of “butterflies” are emerging! !